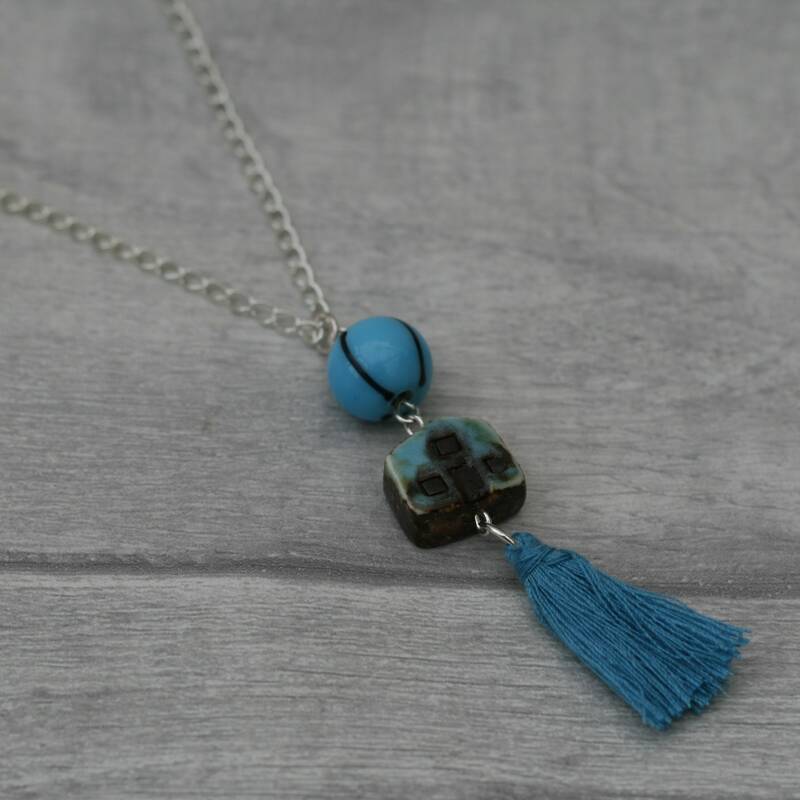 This beautiful house necklace has been made by adding a blue tassel and focal bead to an artisan made ceramic house. The pendant has then been added to an 18" silver plated chain. • This necklace is very lightweight to wear and would suit any house loving individual. • Although every care has been taken while making this necklace, it is advisable not to wear it in the shower or swimming pool.